Our Mevlana Restaurant is in the city center of Nuremberg (at Plärrer square). Enchant yourselves at two levels of the quality and taste of our dishes. You can enjoy in a pleasant atmosphere, partly oriental furnished, our specialities in rest. The Mevlana team will fulfil to you almost every wish. Mr. Ahmet Can provides personally for the welfare of the guests. We work fast, you must not wait long for your order. Besides, we place in the Mevlana Restaurant the biggest value of cleanness and pleasant sensation. 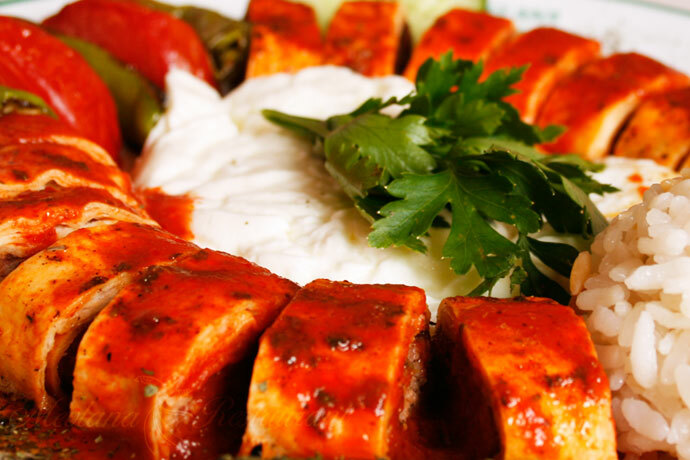 Experience the proverbial hospitality of Turkey. With us become from guests friends. Prominent guests like music stars, film stars, actors, politicians, footballers or many known businessmen enjoy our lusciousness. "Mevlana" is the centre of East and Occident in the middle of the hearts of Nuremberg! Our warm kitchen is available to you continuously from 6 o'clock in the morning to midnight. You'll find a Masjid on the first floor of our restaurant. We are glad about your visit and wish a good appetite!